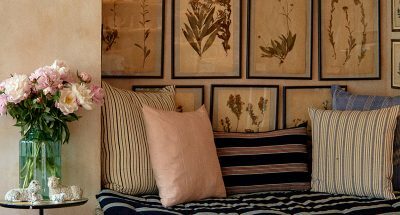 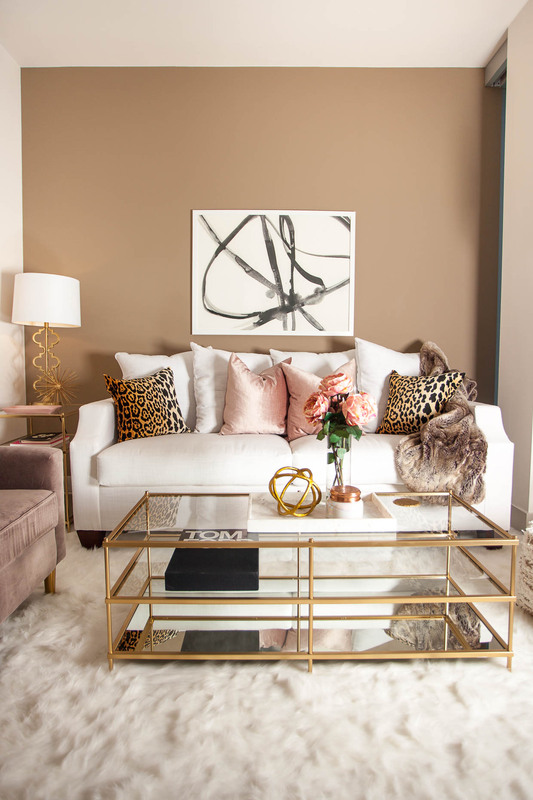 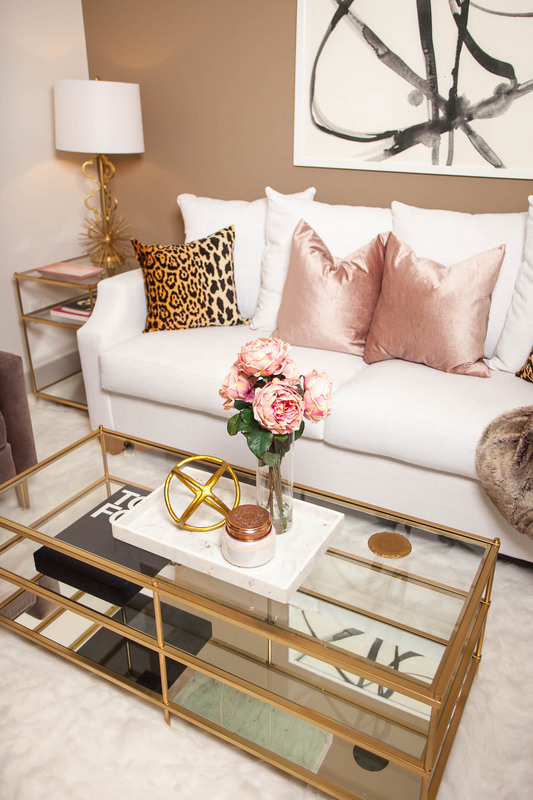 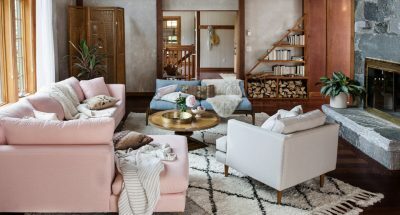 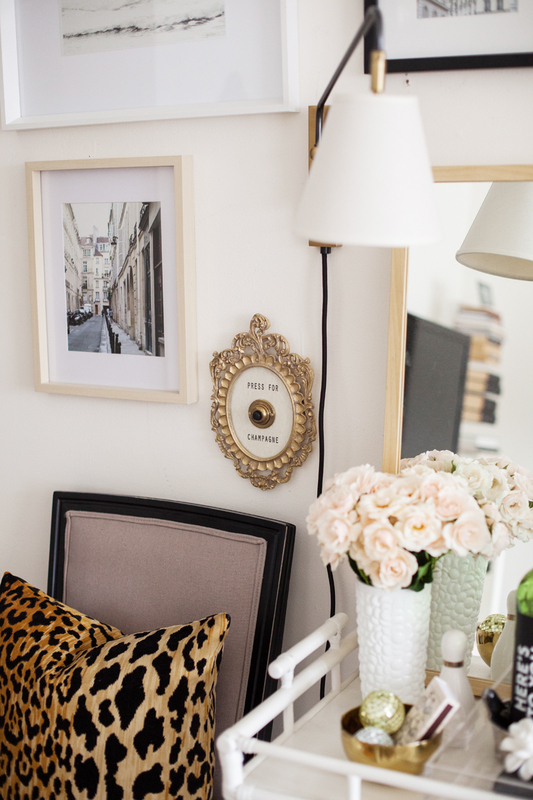 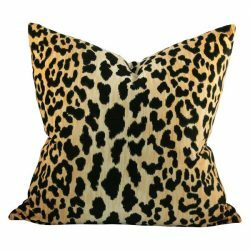 When paired with deep taupe walls and pink and gold accents, leopard becomes even more feminine and pretty, as seen above, in the living room of Jessi of The Darling Detail. 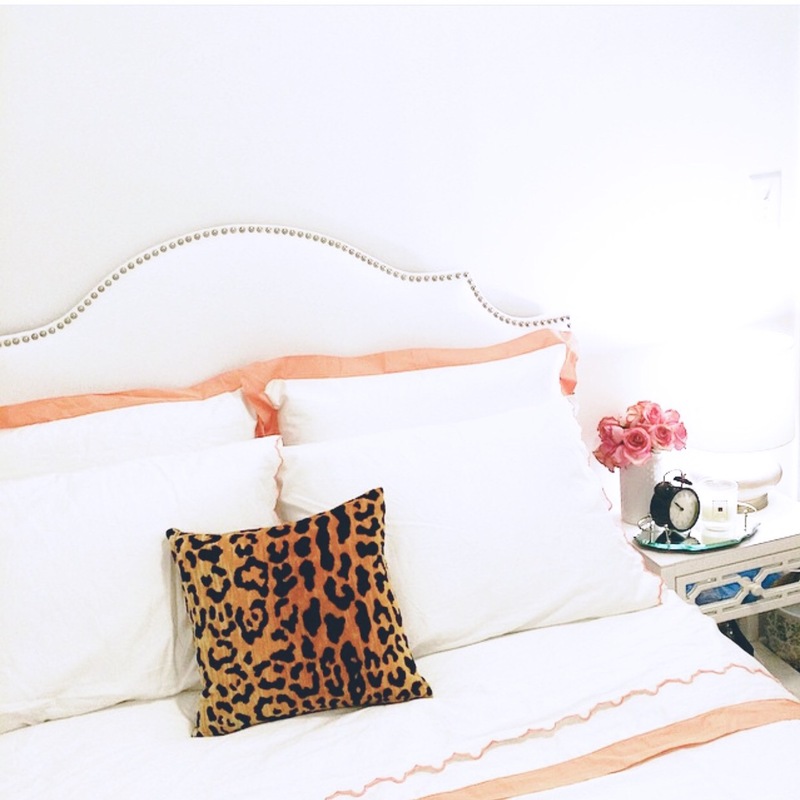 Above, our VERSAILLES LEOPARD Velvet Cushion Cover in the former New York City studio apartment of Katie Armour Taylor, formerly of Matchbook and currently of The Neo-Traditionalist. 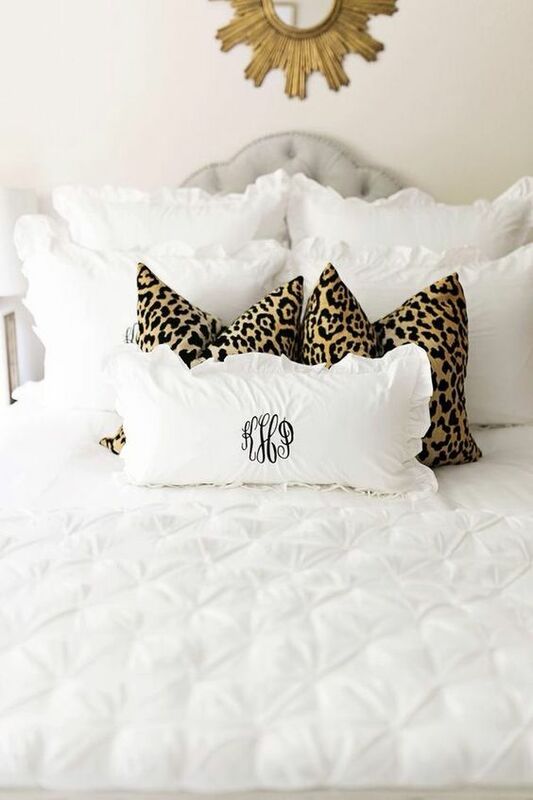 A tiger print gilded chair adds just the right amount of pattern to the calm powder blue and crisp linens of this beautiful bedroom. 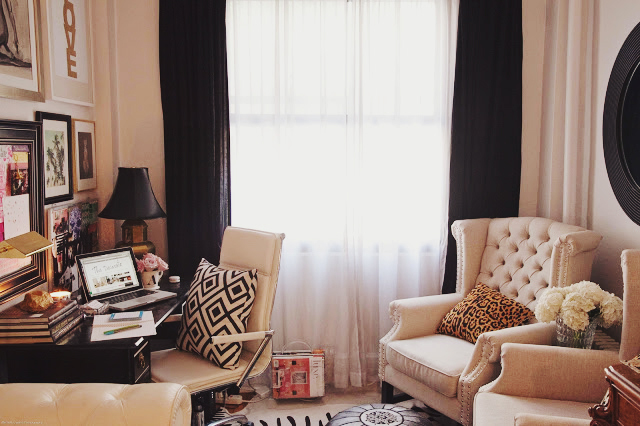 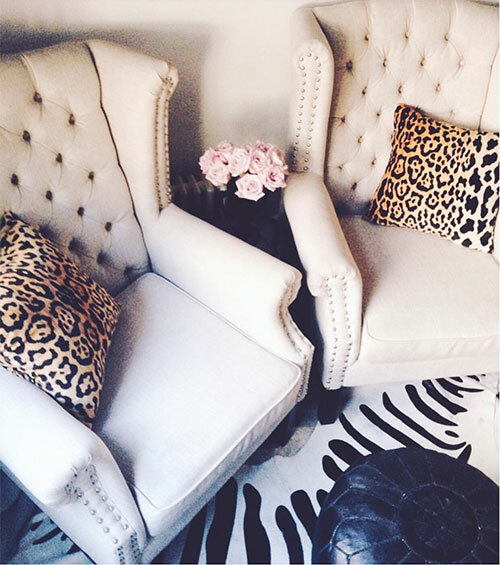 Above & left: the former NYC apartment of Ashlina Kaposta with VERSAILLES LEOPARD VELVET throw cushions (size 17x17) in the office. 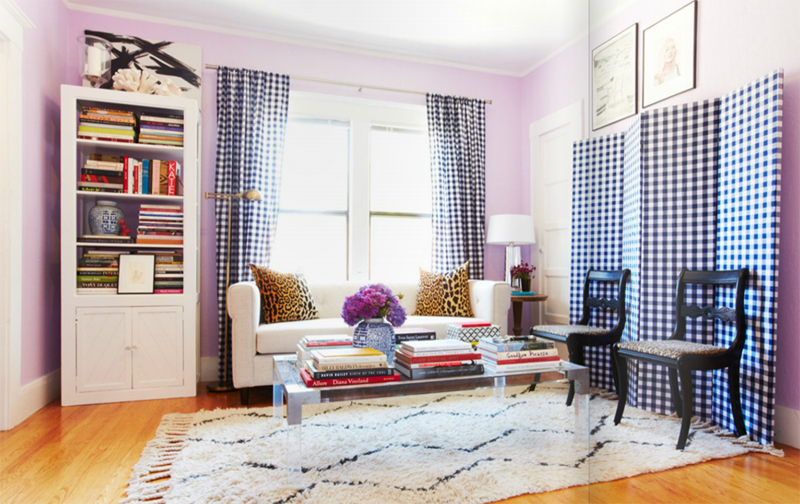 Shop the David Hicks LA FIORENTINA here. 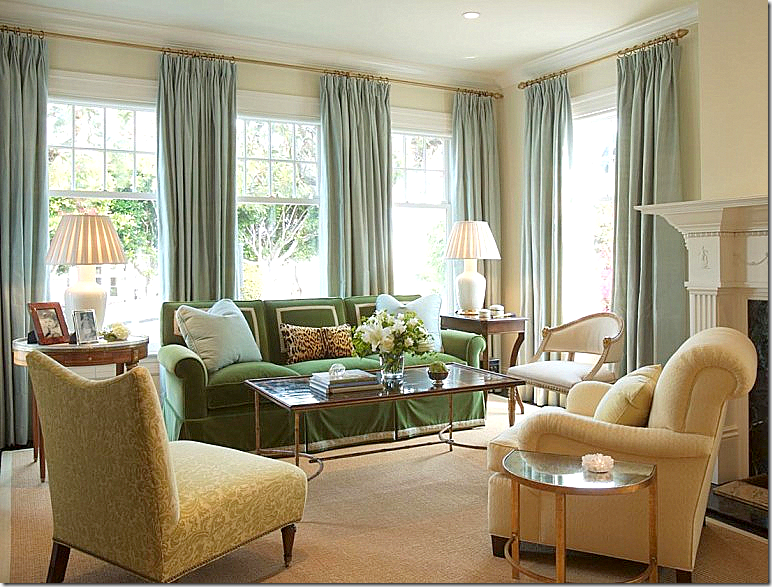 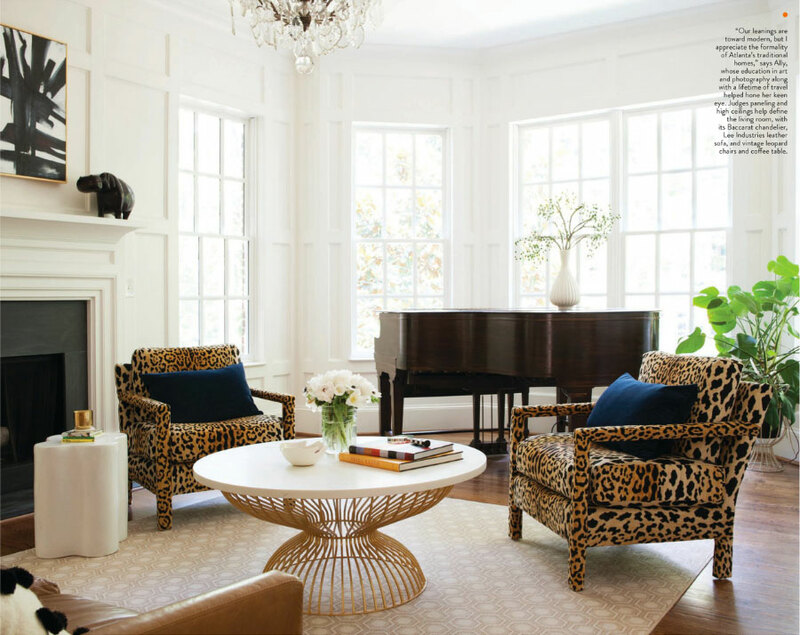 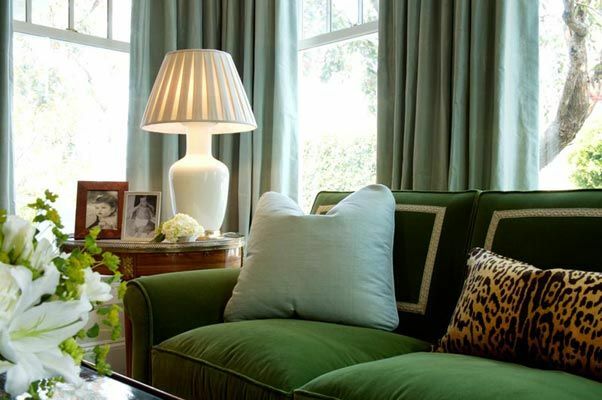 Above & left, leopard is a perfect complement to the rich colour palette of blues and greens in this elegant sitting room designed by Palmer Weiss. 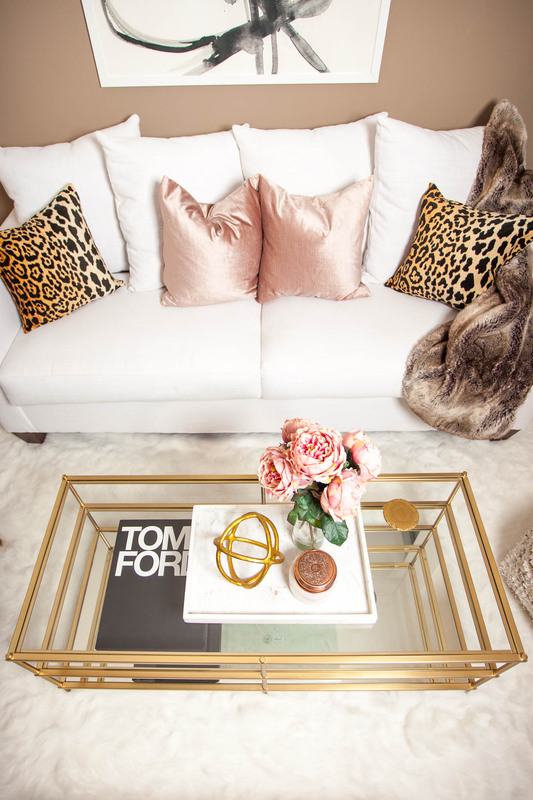 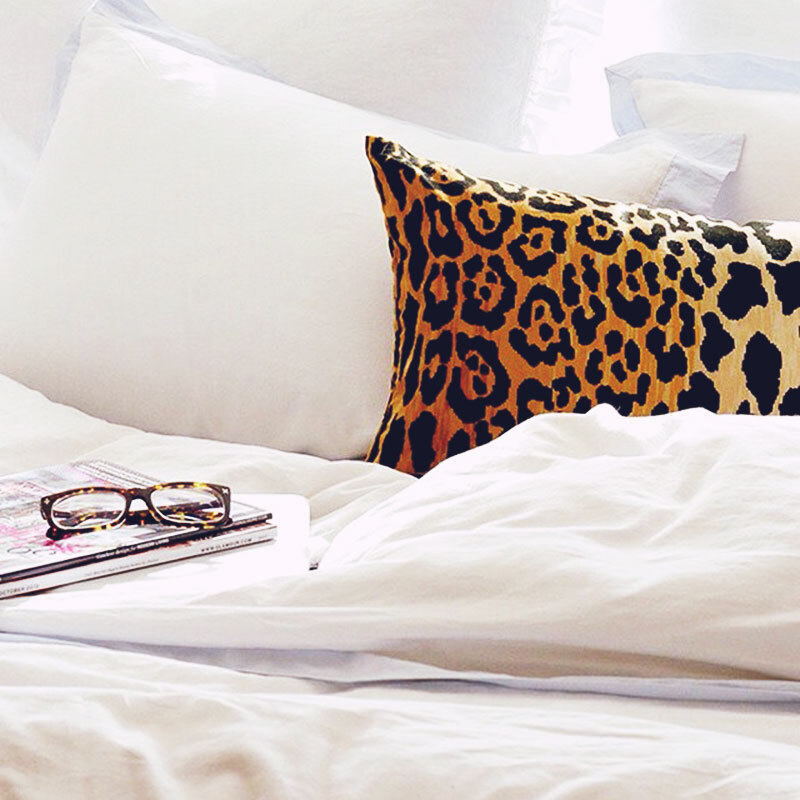 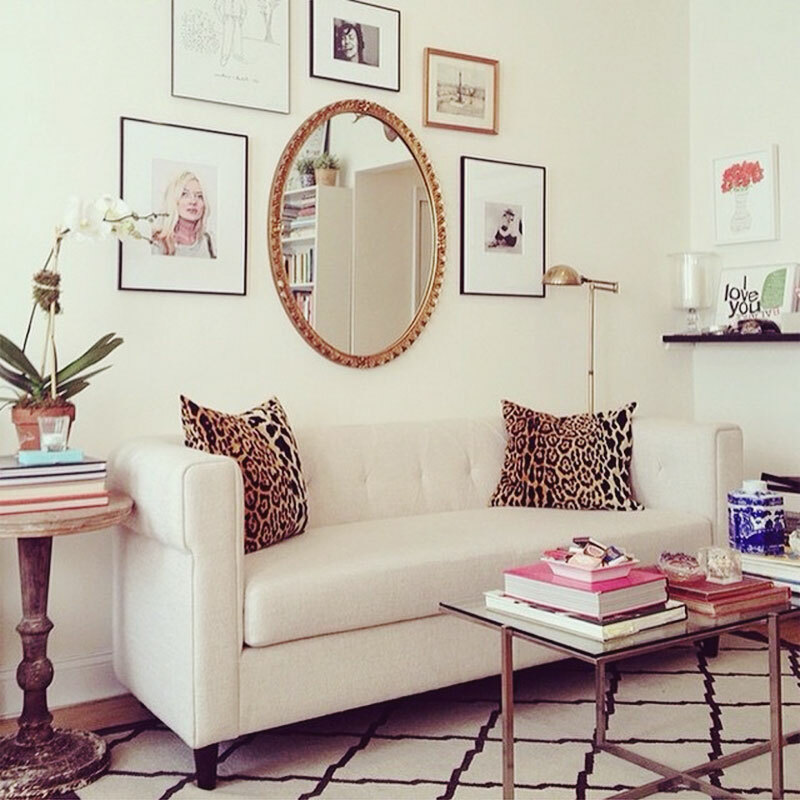 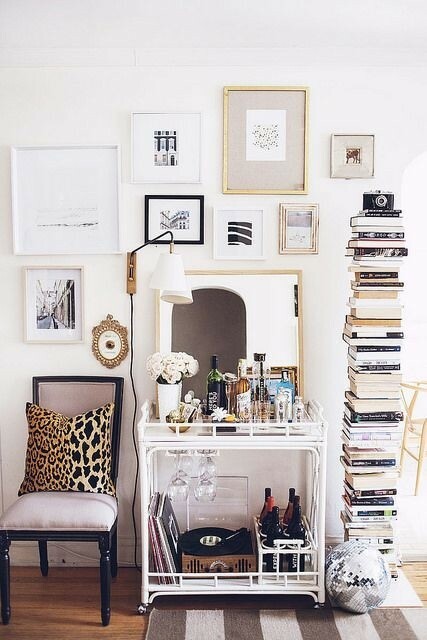 Above, a Leopard Velvet cushion in the home of @dear_kcs; and right, another glimpse into the home of Ally Kim via @fromtherightbank on Instagram. 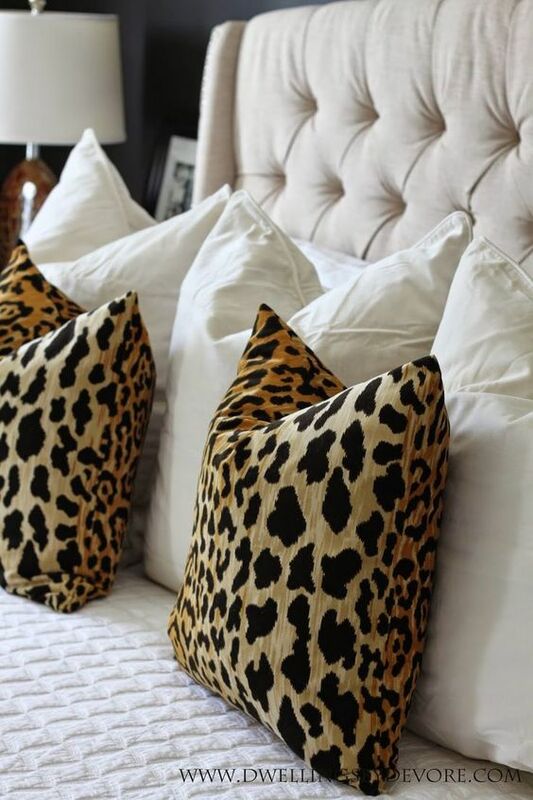 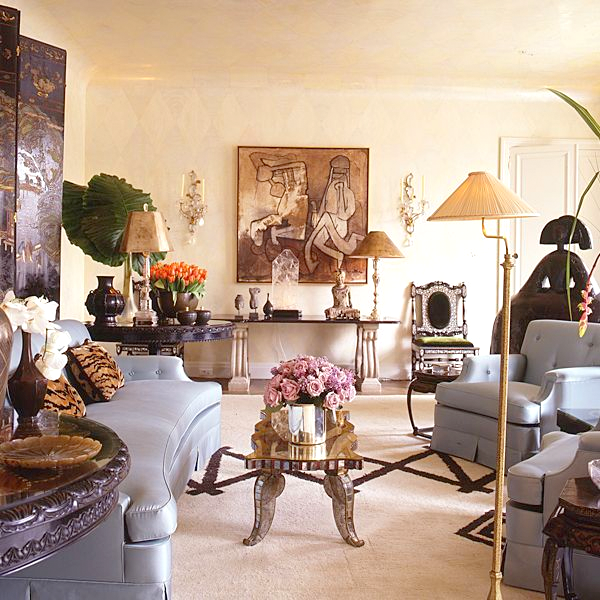 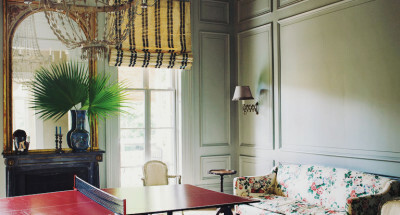 Left, a stunning room that again uses the elegant combination of animal print and powdery blue to perfection.